RADEL is a PPSU (or Polyphenylsulfone) widely considered to be the highest-performing of Solvay’s sulfone polymers. It’s no surprise then that we’ve regularly machined RADEL at AIP Precision Machining over the past three decades. 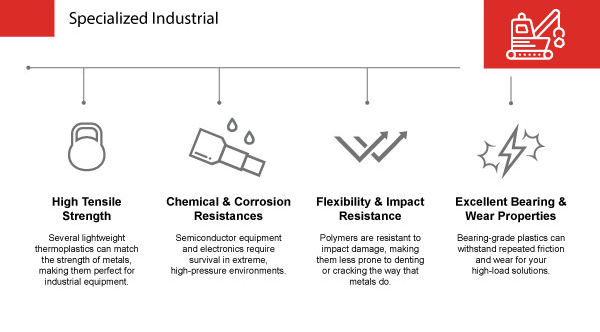 With superior impact strength and outstanding resistance to stress cracking, RADEL offers exceptional hydrolytic stability and toughness across a wide temperature range, making it a favorite of the medical, electronics manufacturing, and aerospace industries. AIP has over 35 years of experience machining complex components from RADEL and various other thermoplastic materials. We are providing this Machining RADEL as yet another insightful technical brief about our polymer component manufacturing process, and how it differs from that of metal machining, injection molding, or 3D printing. Plastic CNC machining is affected by what type of material you’re machining. Technical expertise is key to polymer machining, which is why you have to know the polymer structure and properties of RADEL before machining it. 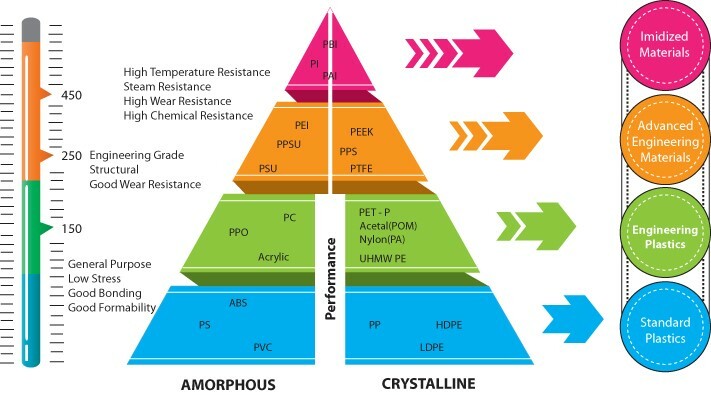 There are two basic types of polymers: thermoplastics and thermosets. Thermoplastics soften in heat and become more fluid, while thermosets cross-link during curing, which eliminates the risk of a product re-melting in heat. Since these categories react differently to chemicals and temperature, it’s important to know that RADEL is a thermoplastic. To be specific, RADEL PPSU is an amorphous, high-performance thermoplastic that is lightweight, available in bone-white or black colors, and can be either transparent or opaque. Like other amorphous thermoplastics, such as ULTEM, RADEL is thermoform capable, translucent and easily bonded with adhesives or solvents. RADEL’s reputation as a high-performance thermoplastic is well deserved. RADEL PPSU has an impressive heat deflection temperature of 405°F (207°C) and is inherently flame retardant with low NBS smoke evolution, making it an ideal material choice for aircraft interiors. 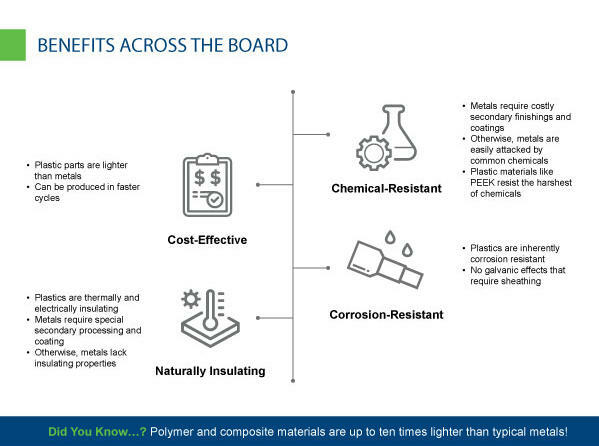 In addition, its retention of mechanical properties is superior to all other amorphous transparent polymers. With improved impact and chemical resistance over PSU and PEI, RADEL PPSU has been tested for notched izod impact resistance as high as 13 ft.-lbs/in. It can endure over 100 joules of force without shattering, even with repeated exposure to moisture and extreme temperatures. These inherent qualities allow RADEL PPSU to withstand unlimited steam autoclaving and provide RADEL with excellent resistance to EtO, gamma, plasma and chemical sterilizations as well. Unsurprisingly, its extreme thermal properties make RADEL ideal for reusable medical instruments and other applications where sterilization is key. Not all grades of RADEL PPSU share the same exact properties, of course. Choosing the grade of your material that best meets your needs is an important part of AIP Precision Machining’s expert material knowledge. One grade of RADEL PPSU we machine regularly at AIP Precision Machining is RADEL R5500. 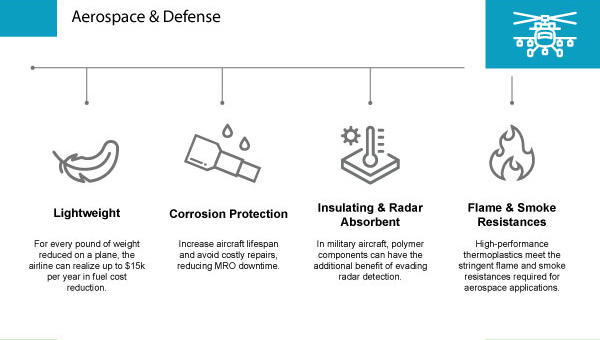 RADEL R5500 is a unique polymer grade that meets the stringent aircraft flammability requirements of 14CFR Part 25, while also being a biocompatible, medical-grade resin that is FDA and NSF approved for food and beverage contact. From that, it’s clear that RADEL R5500 can be used for a wide range of applications, whether it’s for aircraft interiors, electronic burn-in sockets or surgical instruments. RADEL R5500 can be polished to a mirror finish and is available in both opaque and transparent colors. RADEL PPSU, like many polymers, can be received in the form of rods, sheets, tube or film. As we mentioned before, amorphous thermoplastics like RADEL are especially sensitive to stress-cracking, so stress-relieving through an annealing process is highly recommended before machining. Annealing RADEL greatly reduces the likelihood that surface cracks and internal stresses will occur from the heat generated. Post-machining annealing also helps to reduce stresses that could potentially contribute to premature failure. If the machine shop you are working with does not have a computer controlled annealing oven for plastics, then “head for dee hills” as they are obviously not RADEL machining experts. Non-aromatic, water-soluble coolants are most suitable for ideal surface finishes and close tolerances. These include pressurized air and spray mists. Coolants have the additional benefit of extending tool life as well. Many metal shops use petroleum-based coolants, but these types of fluids attack amorphous thermoplastics like RADEL PPSU. 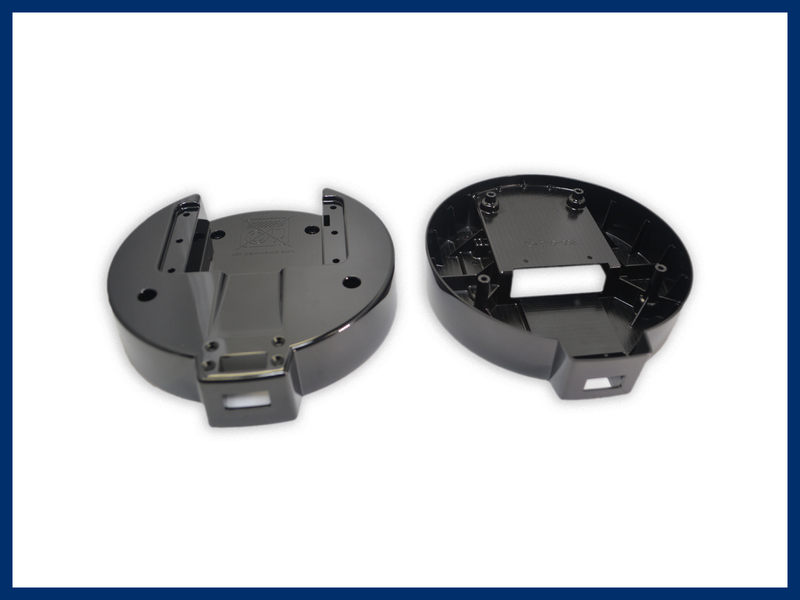 Many past experiences have shown parts going to customer without cracks, only to develop cracks over time due to exposure to metal machine shop fluids. 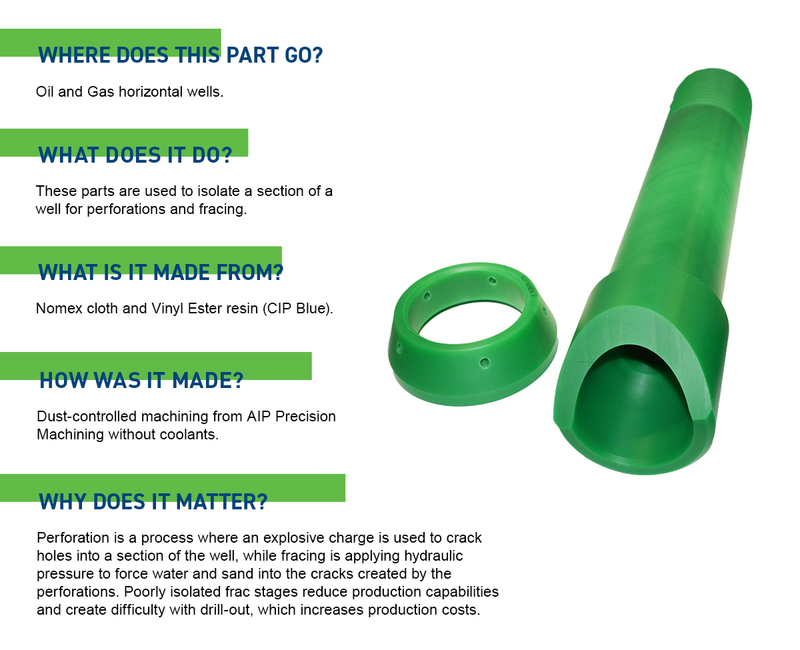 Be sure to use a facility like AIP who machines polymers and only polymers. Contamination is a serious concern when machining polymer components for technically demanding industries such as aerospace and medical. To ensure the highest level of sanitation down to the sub-molecular level, AIP Precision Machining designs, heat-treats, and machines only plastics, with any sub-manufactured metalwork processed outside our facility. This minimizes the potential for metallic cross-contamination. There’s no doubt that plastics have become more and more popular in modern medicine. Short lead times are essential in this industry, and both 3D additive manufacturing and CNC machining provide fast production times. When is your medical application better suited for 3D printing, though, and when does precision plastic machining have the upper hand in plastic manufacturing? 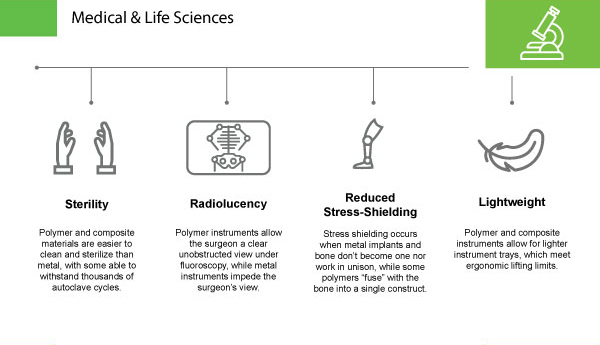 There are a few key differences and similarities between these types of plastic manufacturing that you should keep in mind for your medical applications. It helps to have a basic understanding of each manufacturing process, first. 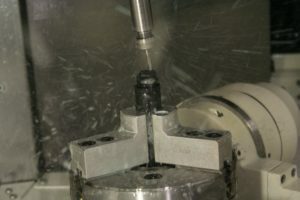 CNC machining is a type of “subtractive manufacturing.” This means that the process generally begins with a solid block of plastic material which is cut or shaped into the desired product through “removing” excess material. While CNC machining requires more initial setup than 3D printing, it offers repeatability, accuracy for both large and small parts, and a wide range of polymers and composites to choose from, as well as a variety of surface finishes. It scales easily between one-time jobs and high-volume production. 3D printing is “additive manufacturing,” which means the initial material is built layer by layer, rather than removed as in subtractive manufacturing. 3D printing creates three-dimensional objects from reading a digital file’s blueprint. When working with plastics, you’re primarily talking about FDM 3D printing. While FDM is widely considered the most quick and cost-effective way of producing custom thermoplastic parts and prototypes, it also has the lowest dimensional accuracy and resolution of any other 3D printing technology. Another option for additive manufacturing is SLS 3D printing, which fuses together the particles of thermoplastic polymer powders. This version of 3D printing has higher accuracy than FDM; however, it comes at the cost of longer lead times, which can be expensive in the medical industry. Both CNC machining and additive manufacturing work with a wide variety of thermoplastics, but those plastics react to manufacturing in different ways. Some materials machine more easily than others, while certain thermoplastic materials are more prone to warping in 3D printing. Your manufacturer should be familiar with your chosen material and be able to discuss the process of machining or 3D printing it with you. At AIP Precision Machining, we have 35+ years of material and machining expertise and we include consultancy as an integral part of our manufacturing process. CNC machining ultimately provides greater dimensional accuracy and better performing properties than additive manufacturing. 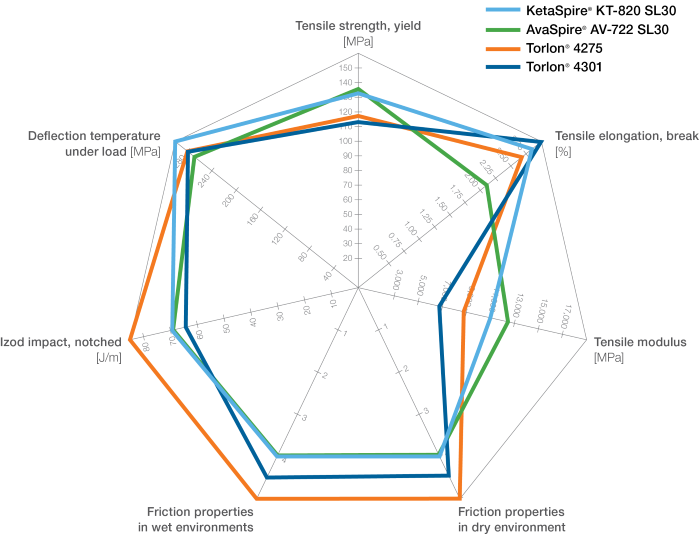 Machined thermoplastics possess both great mechanical and thermal properties with fully isotropic behavior. If your product requires unique, strong design with critical tolerances, then FDM 3D printing may not be not ideal; this type of printing is inherently anisotropic, meaning it isn’t the best option for mechanically critical components. Medical applications, in particular, have unique considerations that ought to be taken into account, both for choosing your initial material and determining how it ought to be manufactured. Precision CNC machining provides close tolerances for your applications with a fine, burr-free finish. In fact, 3D printed products for the medical field regularly go into CNC machining post-processing as a secondary step in order to accomplish better tolerances or a finishing cut, as FDM parts tend to have visible layer lines. Extreme tolerances up to 0.002mm can be produced by AIP Precision Machining, which can be necessary in demanding industries such as the medical, aerospace and energy markets. Both CNC machining and 3D printing have quick turnarounds, especially when compared to injection molding. Machining designs are crafted on the same computer applications used by 3D printers, so there is no cost associated with design changes for either type of plastics manufacturing. However, when time is truly critical, 3D printed parts can be delivered in 24 hours. Quality and functional usefulness, in this case, may be sacrificed for expediency. AIP Precision Machining can guarantee your complex polymers machined in as little as 10 business days, with quality assured from concept to completion. Smaller batches, such as 1-10 plastic components, can be more cost-effective if produced with additive manufacturing. This is because using a non-standard blank size increases the cost of machining. Plastic machining, however, easily scales between small and large outputs. If you require a high-quality product that possesses extreme mechanical and thermal strength, it is worth precision machining for that reason alone. The medical field often has no room for error when it comes to implants, spinal devices and orthopedic equipment. This is why—no matter what type of plastic manufacturing you choose—you want to be sure you’re working with an expert who understands the importance of sterilization, biocompatibility, and other traits that may be necessary for your application. AIP is FDA and ISO 13485:2016 registered and has been audited by some of the most stringent OEMs in the orthopedic and medical device industries. We process our plastics with strict hygienic procedures. Whoever you work with, be sure they understand the needs of your industry and have the experience to prove it. 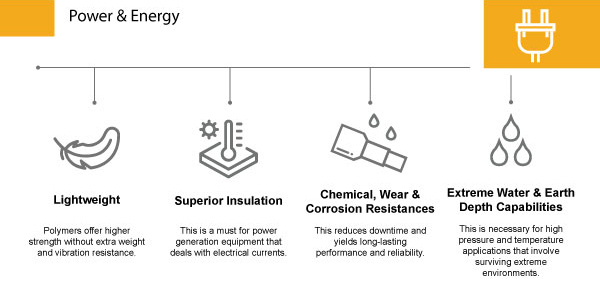 Click here to learn more about the utility of each technology with regard to precision efficiency, materials and more. Or, request a quote with AIP Precision Machining here.